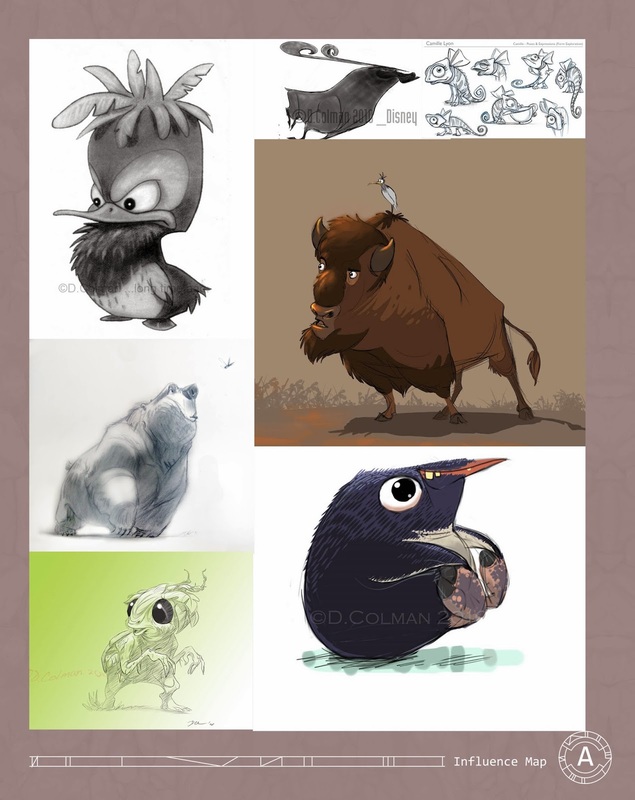 This is an influence map with the work of David Colman, I really like his style and the way that he pushes his creatures to be visually interesting, I want tot use his work to influence my designs so far to push the creature design to its full potential. 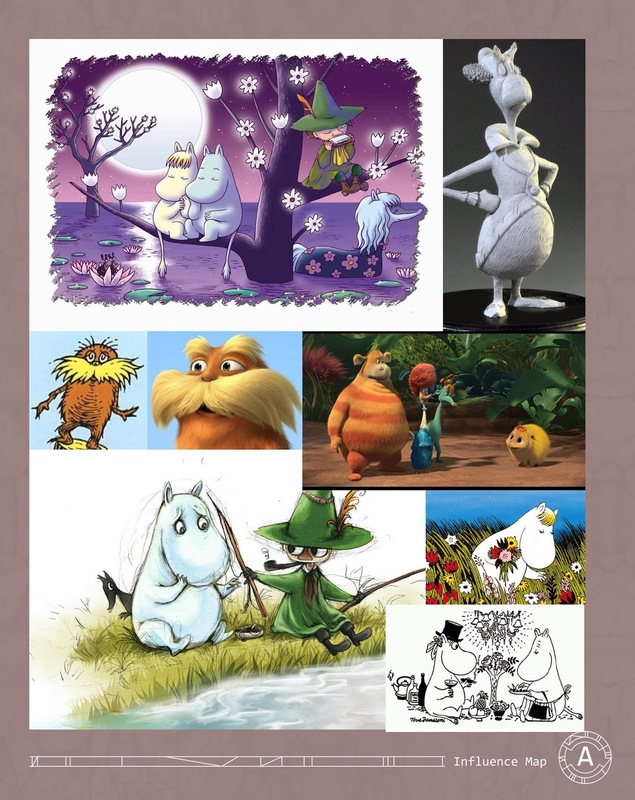 It was also suggested that I should look at the Moomins and while looking at the Moomins they really made me think about some of the Dr Seuss creatures that are very plump and round. Although these influences are not Japanese I think that they have a design language that will lend to my project without making it feel like i've stepped away from the original concept of the characters having japanese influences. These drawings influenced the drawings of my initial drawings and just allowed me to warm up and get a feeling for what I was trying to draw. 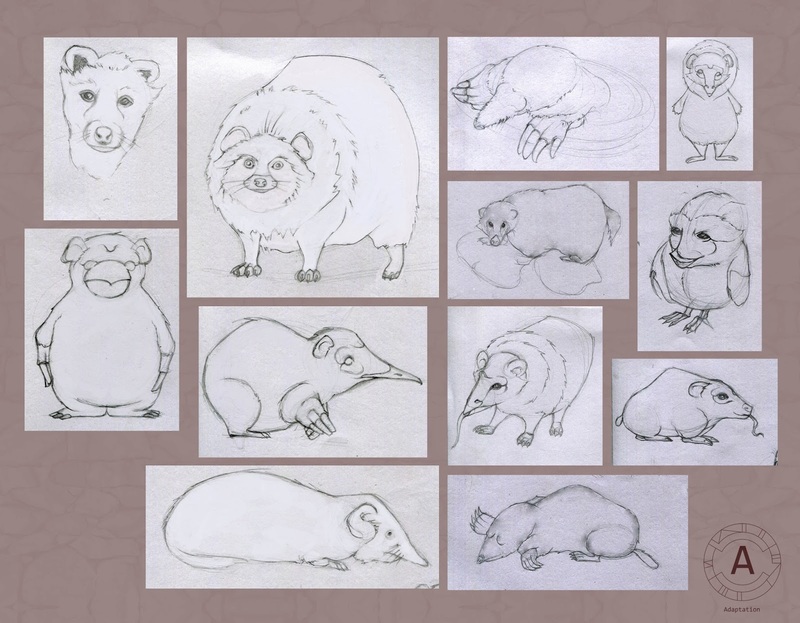 Some of them have no design involved but are just about me understanding the way that certain animals are formed.